Our family has been to Bermuda many times and we still have not seen everything. We're heading back this June and our goal is to hit as many secluded places as we can. We're interested in cave swimming, cliff jumping (not too high), renting a small boat for sea garden snorkeling (calm seas close to shore) and any other places you might suggest that aren't too touristy. We love the island and feel at home there. Any suggestions? For cave (grotto) swimming and short cliff jumping, visit Walsingham Nature Reserve (also known as Tom Moore's Jungle) in Hamilton Parish. This 12-acre reserve is full of dense wood, caves and grottos. There are natural pools and a mangrove pond (known as Blue Hole) where you can swim. Forested trail leads to the caves and the pools. The entrance to the park is opposite Grotto Bay Resort (bus #1,3,10,11). 1) Coopers Island Nature Reserve in St. Davids. Close to Clearwater and Turtle beaches. 12-acre park, lush vegetation including Bermuda cedars, Palmettos, Olivewood etc, boardwalk over a pond, salt marsh and lovely view of Castle Harbor are the highlights here (some services of bus #6 from St. George reach here). 2) Spittal Pond Nature Reserve at Smiths: This is the largest nature reserve in Bermuda and spread across 64-acres area. Lust vegetation, wide variety of flora & fauna, lovely nature trail, strange geological formations on coastline and exposed rocky cliffs, and a large brackish pond at the center are the highlights. Bus #1, 3. 6) 9-acre Dunscombe Woods nature reserve in Devonshire next to Devonshire Marsh. The two together forms one of the largest natural reserves in the island and full of flora and fauna. You will see plenty of Brazil pepper, Chinese fan palms although once this place was full of Bermuda Cedars, Bermuda Palmettos, Olivewood etc. Bus #3 comes close. Then walk along Parsons lane and then around Vesey street for about half a mile to enter the reserve. Note that Poison Ivy (a type of plants) exist on some parts of the trail which can cause skin rashes or severe itching if they come in contact. 7) Warwick Pond nature reserve at Warwick parish: 9-acres of marshy forested land with a large fresh water pond. The reserve is home to many migratory waterfowls. A well marked trail takes you through the reserve and signboards at various places let you know about the flora & fauna. Bus #8, entrance on Middle road. 9) Bailey's Bay and Coney Island - accessible through railway trail at Hamilton Parish: Must walk along the new 740-ft footbridge over Bailey's bay opened in December 2014. It's part of the railway trail. Further east at Coney Island, you will enjoy parkland and coves. You can see the Ferry Island and western part of Ferry Reach park across the water. Take bus # 10 or 11 and access through the railway trail at Hamilton parish. 10) 8-acre Vesey Nature Reserve in Southampton located off Middle Road and near Port Royal Gas Station. Opened in April 2013. Highlights include a limestone sinkhole, couple of quarries, forested valley, rocky shoreline, hill top etc. 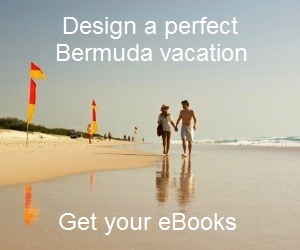 I have been to Bermuda 5 times and have been lucky enough to do the usual tourist venues. I was wondering what is the best way to see the island off the beaten path? I was hoping to rent a jeep but discovered this is not a possibility and am afraid of the scooters. You can hire taxi by hour (minimum 3 hours @ $50 per hour for small taxi).